The integrated cameras of the current Smartphone generation offer high resolution and possess outstanding optical characteristics even for dark subject settings and take videos in full HD or even 4k. 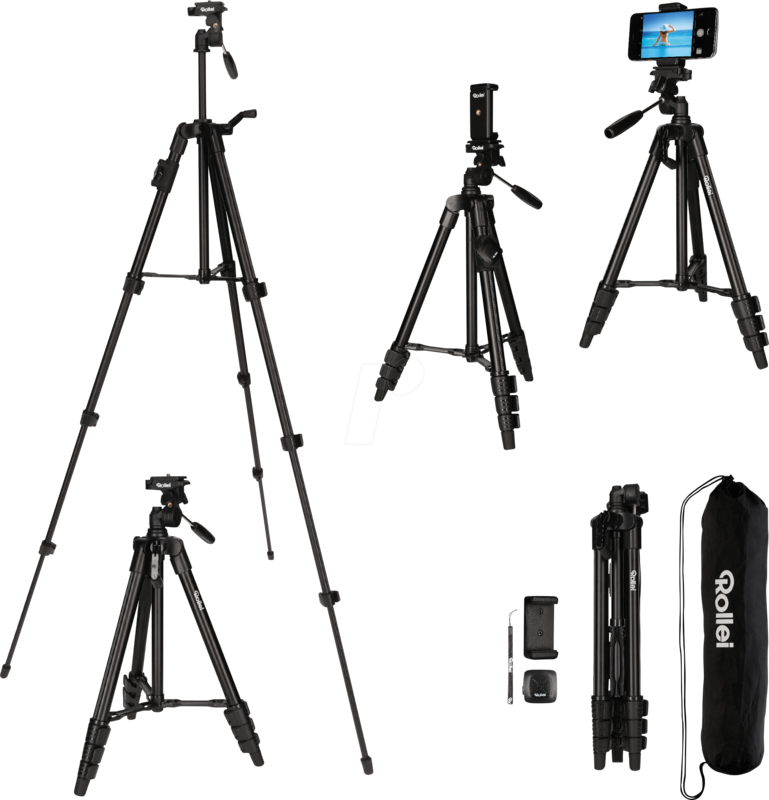 So that this photographic potential can also be truly exploited, even fans now use special tripods more to take snapshots faster and more spontaneously in order to be able to take pin sharp photos and videos of impressing quality. 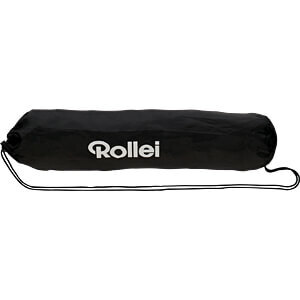 The Rollei Traveler Smartphone Tripod was developed precisely for these purposes. 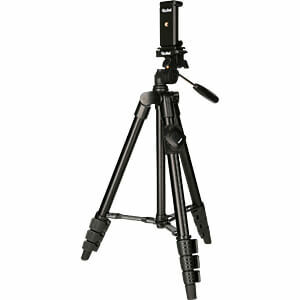 A tripod must possess specific characteristics in order to be able to be designated as fully suitable for use with Smartphones. On the one hand it shouldn’t be too heavy. Otherwise it will simply be left at home after some time and you’ll be taking photos again with a handheld device and making do without creative options. 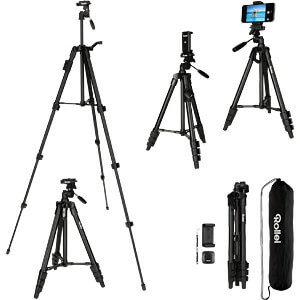 The Rollei Smartphone Traveler tripod weighsonly 600 g including the video tripod head but it can be extended to a total height of 120 cm, which is sufficient to take wide-angle photographs or to shoot time-lapse videos without wobbling. 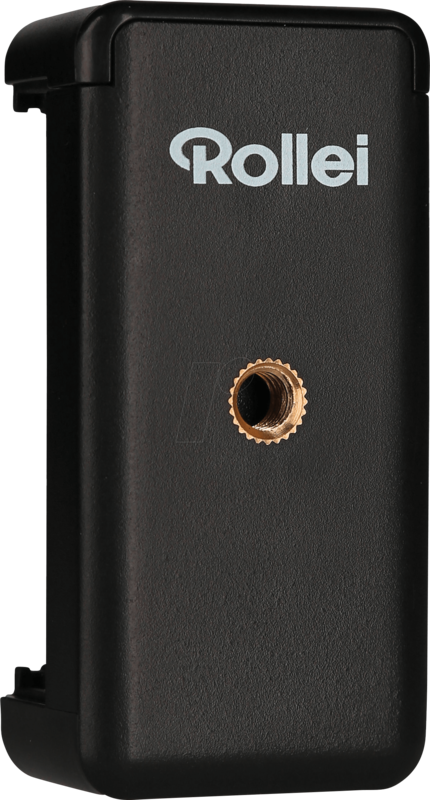 The Smartphone holder provided accommodates even the XL or plus versions of the current premium Smartphone models and the tripod has a total load-bearing capacity of a proud 2,000 g! 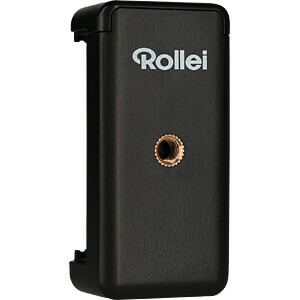 Of course, the Bluetooth 3.0 trigger provided can also be used independently of the Rollei Smartphone Traveler tripod. It already functions with iOS 5.0 and Android 2.3.6 and enables you to trigger wireless and vibration-free shots at a distance of up to 10 meters. Naturally, the tripod has a 1/4" threaded screw and also accommodates cameras of up to 2 kg in weight as well as all compatible accessories. The integrated water/spirit level ensures that your photos or videos are always be on an "even keel ". The sturdy carrying bag not only accommodates the tripod (with a mini pack size of only 38.5 cm) but serves also as a practical storage and transport option for the Bluetooth remote operating system and the universal Smartphone holder.